As an Awareness Centre SAFE.SI raises awareness of its five target groups about safe and responsible use of internet and new technologies. The project’s aim is to provide children, teenagers, parents, teachers and social workers with knowledge and tools for guiding, empowering and helping children and teenagers in the digital world. The Awareness Centre Safe.si is part of the Safer Internet Centre project, that is co-financed by the European Union’s Connecting Europe Facility. In Slovenia Financial support also comes from the Ministry of Public Administration. The project is run by a consortium of partners coordinates by Faculty of Social Sciences at the University of Ljubljana (UL FDV). Academic and Research Network of Slovenia (ARNES), Slovenian Association of Friends of Youth (ZPMS) and Youth Information Counselling Centre of Slovenia (MISSS). 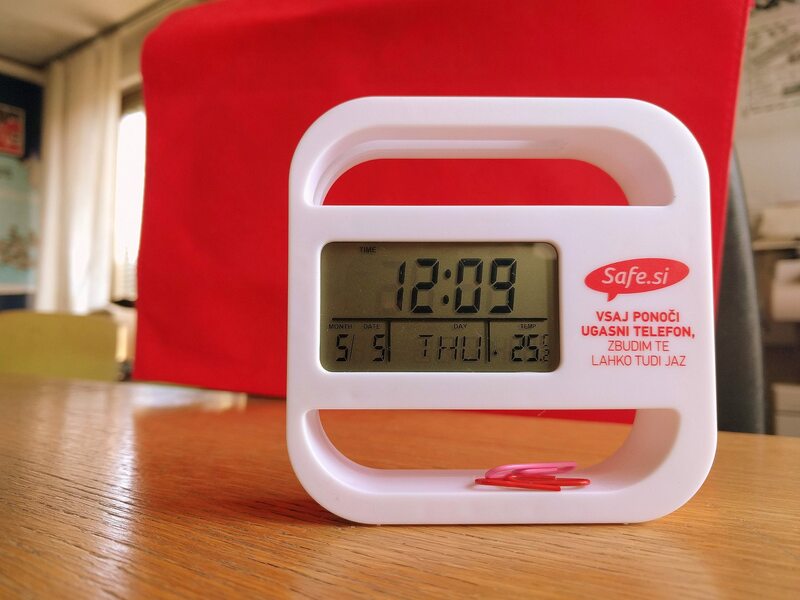 The Awareness Centre Safe.si is a member of INSAFE network. The Slovene Awareness Centre has positioned itself as the key resource and knowledge base for children’s use of the internet and mobile technologies in Slovenia. A strong network of national stakeholders supports the Awareness Centre and ensures the dissemination of educational materials, information and advice. The Slovenian Awareness Centre coordinates the Slovenian celebration of Safer Internet day and also launches its own awareness campaigns. The Centre continuously cooperates with a large group of stakeholders on a variety of other campaigns. There is a big interest among Slovenian schools to receive trainings and workshops on online safety for different target groups. SAFE.SI has been actively involved in educating young people, parents and teachers about the opportunities and potential risks of using the internet since 2007. It is the most recognized institution in Slovenia that deals with teaching about online safety. 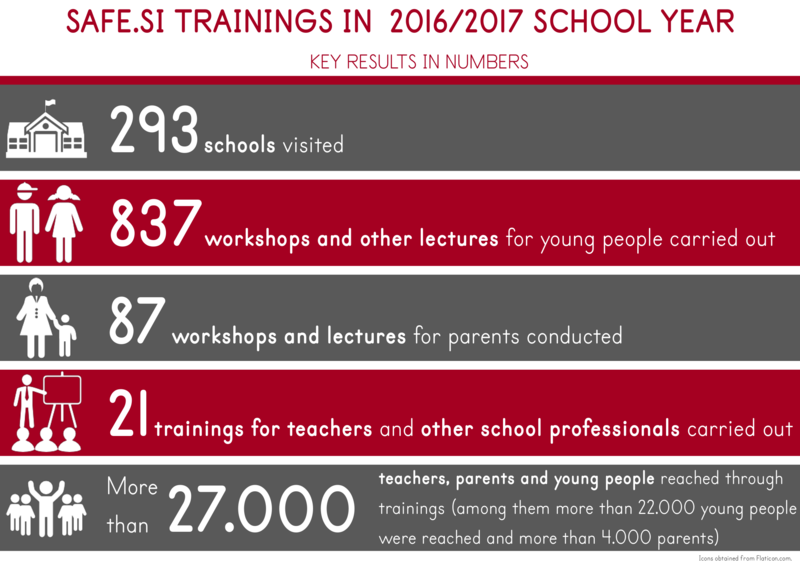 Schools often seek Awareness Centre's services for improving teachers' as well as pupils' and their parents' knowledge through applying for Centre's workshops and lectures. One of the Centre’s main dedications is providing its target groups with attractive and educational materials like videos, e-learning, games, quizzes, video tutorials, brochures, handbooks, activities, leaflets, posters, stickers, etc. 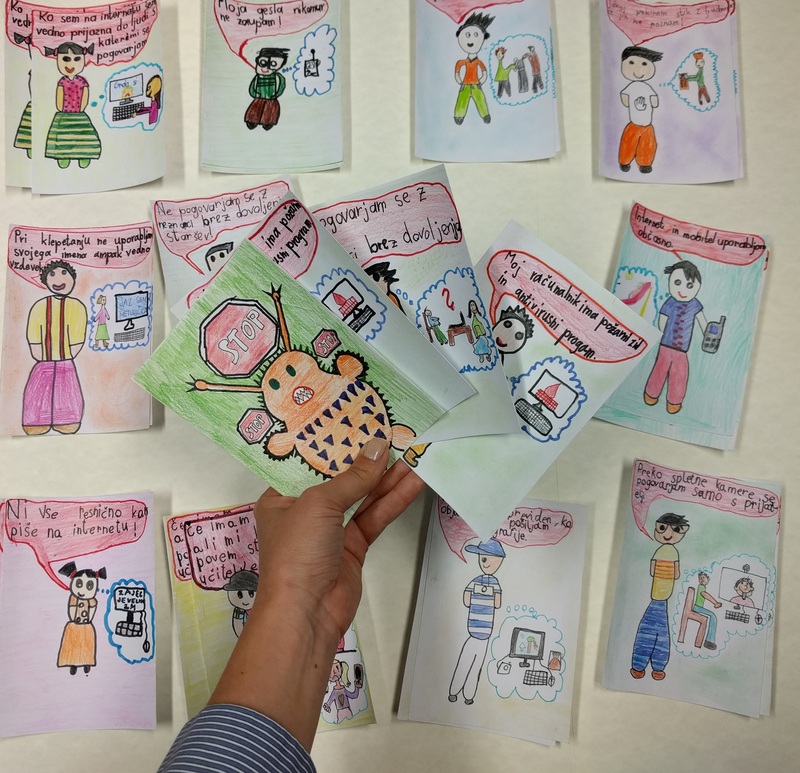 Additionally the Centre produces different promotional materials like T-shirts, key chains, tattoos… to raise awareness about SAFE.SI and its activities, when participating at different events, fairs, festivals, etc. Awareness Centre’s website www.safe.si provides exhaustive information regarding internet safety for all project’s target groups. Children, teenagers, parents and teachers all have separate sections on the website that provide information, tips, materials, videos designed especially for the respective target group. On the website, we offer digital versions of all SAFE.SI printed materials and also useful links and materials of other organizations. The Centre also maintains Instagram, Snapchat and Twitter accounts and a Youtube and where we publish our videos and video tutorials.